Darlene Ernestine Russell, 72 of Holton, formerly of Oakley, passed away Tuesday, June 19, 2018, at a Topeka hospital. She was born April 5, 1946 in Cheyenne Wells, Colo., the daughter of Louie and Ernie Tesmer. She graduated high school in Sharon Springs in 1965. She married Gerald “Rusty” Russell on Nov. 21, 1966. They later divorced. Darlene was a homemaker and a loving mother. She mostly worked waitressing and café work and later retired from Holton Manor as a dietary aide. Darlene enjoyed spending time with family and friends. 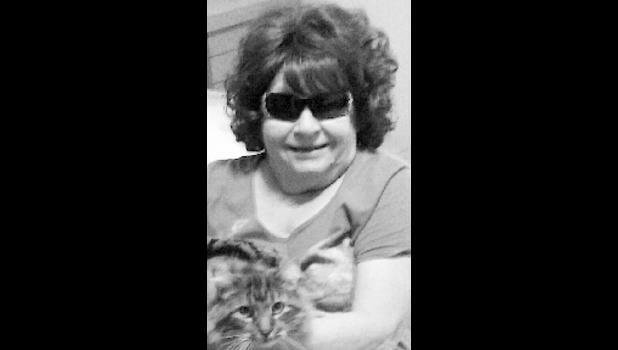 She loved country music and her kitty cat, Romeo. She leaves to mourn her daughter Dorothy and husband Rodney Carr; son Gary Russell and Carol; grandchildren Michael, Cash, Zack and Molly; sisters Lois and Ron Neff, Della and Fred Kreutzer, Joyce Sheetz and Kay and Steve Meade; many nieces, nephews and friends; and her best friend, Nita Workman. She was preceded in death by her parents, Louie and Ernie Tesmer; brothers Virgil and Norman Tesmer; ex-husband Rusty; and daughters-in-law Nicci and Amy Russell. Darlene chose cremation. There will be a celebration of life ceremony at a later date. Memorial contributions may be made to the Jackson County Humane Society, 414 E. Eighth St., Holton, KS 66436.